Improvements in technology have in the latest years lead to a new vision of gaming which introduce the player in incredible scenarios, where computer graphics and artificial intelligence take the user in another dimension, from time to time more realistic and enjoyable. Our purpose anyway is different, our clue is to bring software and technology in the scenarios of the real world and not vice-versa, and to exploit the greatest GPU available in the market: the users' brain! Are you ready for the quest!? 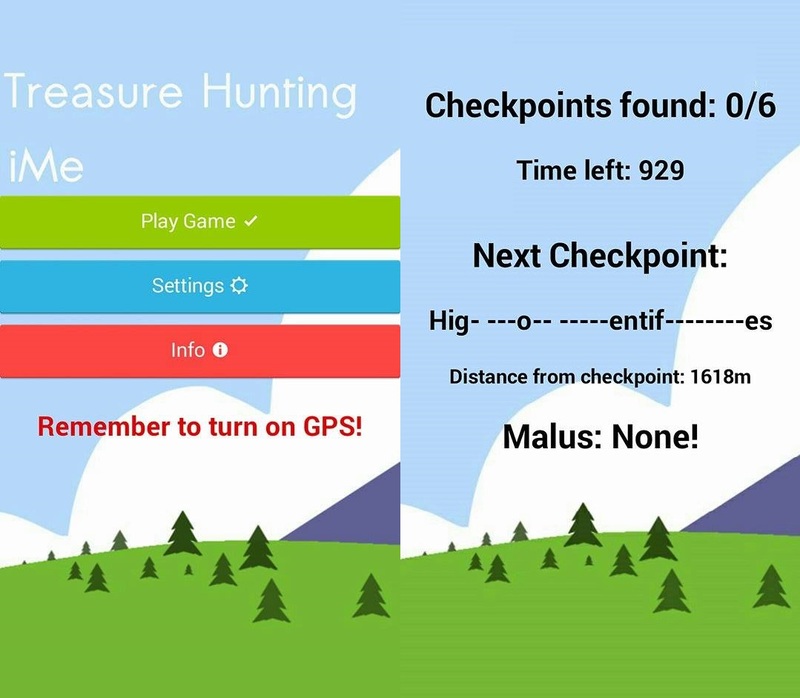 Mainly the game consists in a treasure hunting game controlled by a mobile application, which relies on a server for stuff like the management of checkpoints, the ranking of players, the creation of lobbies and more. Obviously, being fundamentally a game, the goal is to win, and this is possible reaching all the checkpoints that will be given to you after solving riddles and clues against your friends and the artificial intelligence located in the app. The innovation brought to you by the use of our application instead of practicing a traditional treasure hunt lays and is strictly bound to the concept of smart city, in which we all already live, since the possibility to track our routes and walks and travels through GPS also allows you to reach checkpoints and, hopefully, the treasure!